We’ve sandwiched our favorite slow churned vanilla ice cream between a layer of perfectly cooked sugar cookies before dipping and crusting the sides in a layer of crushed Butterfinger bars. Homemade ice cream cookie sandwiches will never be the same. And how could they really be complete without a yummy candy crust? 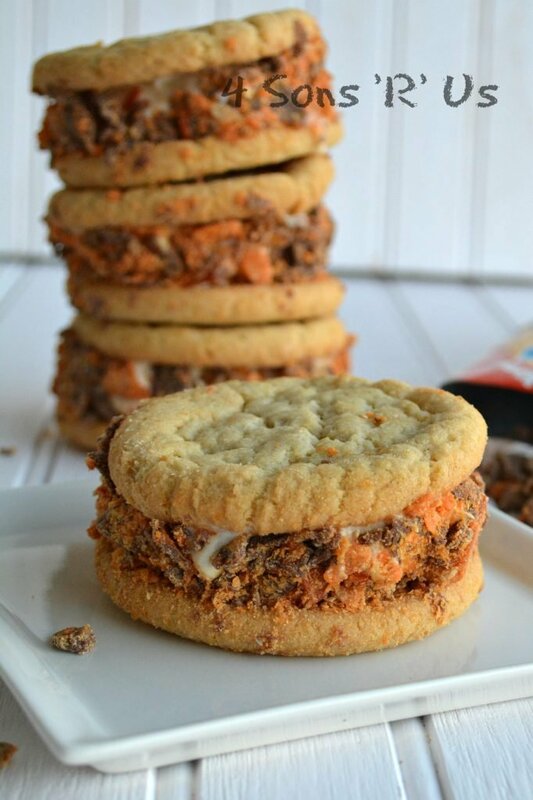 Butterfinger Crusted Sugar Cookie Ice Cream Sandwiches are the new dessert craze. All winter long my boys eagerly watch the weather forecast and jump at the chance of snow. You’d think the first thing they would do is pull the ‘Winter’ bag out of the closet and get their bibs and boots ready. Or that they’d be scouring the scrolling bar at the bottom of the news screen for the latest in school closings. Nope. They first thing my kids do at the mention of coming snow is set out every big mixing bowl and soup pot I have on our porch. Those bowls will collect as much fresh snow fall as possible to use in their favorite Winter treat: Snow Cream. And it’s a tradition we gleefully honor every Winter, with every snow fall. 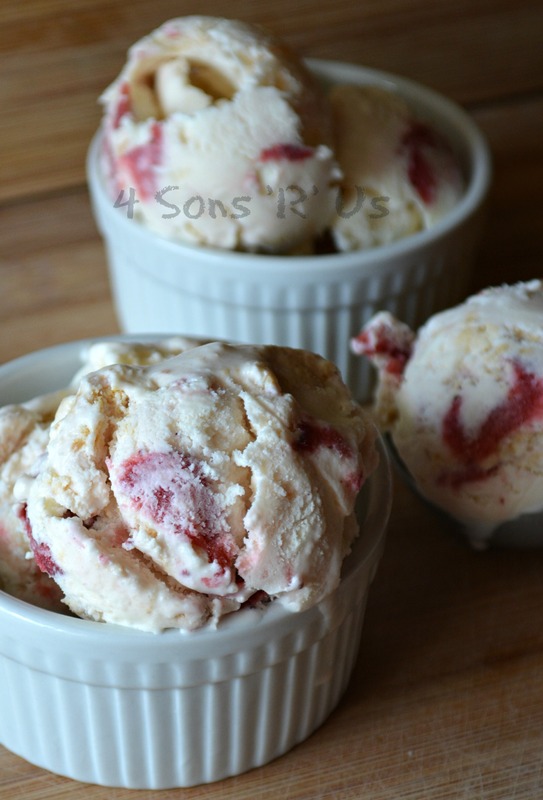 In our last post, we talked about improving an old childhood favorite with the addition of ice cream. today? 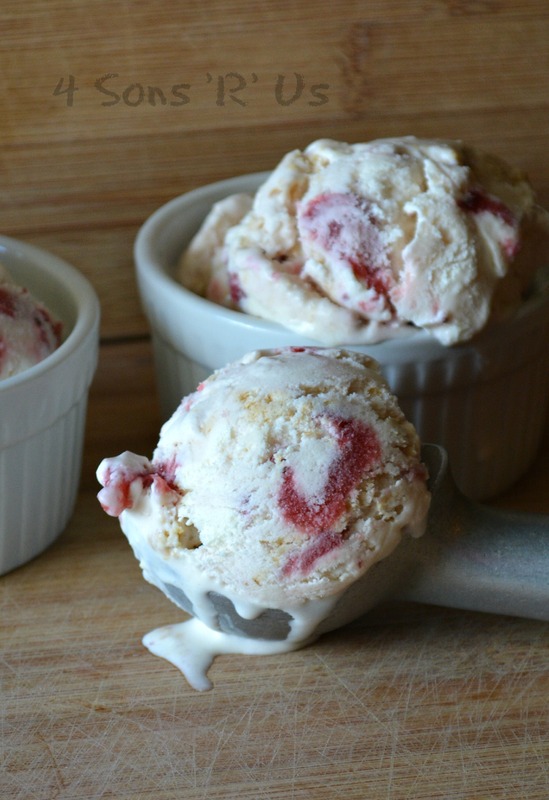 We’re here to show you how to turn one of your favorite childhood sandwiches into ice cream. The classic peanut butter and jelly sandwich. It’s flavors were pretty much a universal childhood experience. Matter of fact I loved it so much, and had to have it so often growing up, that by high school I had to take a 10 year hiatus before I could appreciate it, let alone love it again. 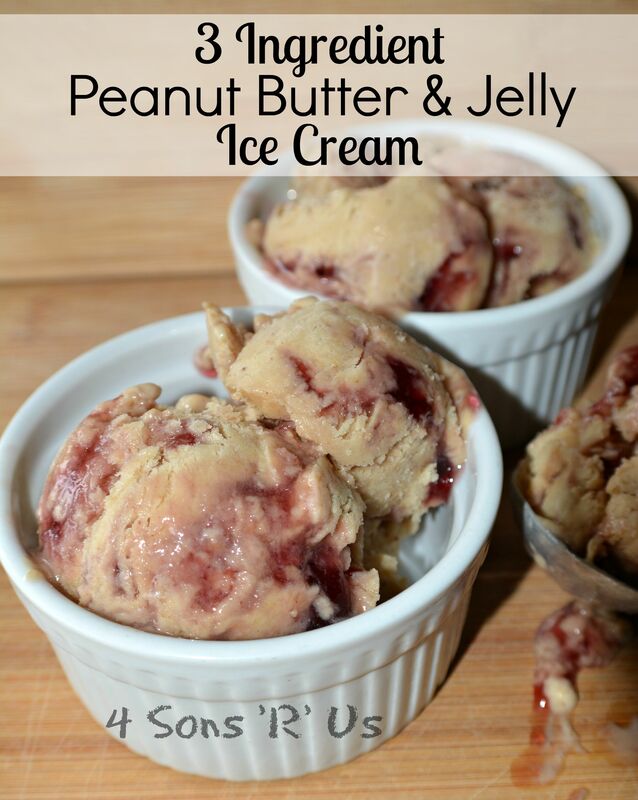 Put the peanut butter into a blender or food processor. 2. Add the frozen bananas. 3. Blend on high for several minutes, or until you’re sure the bananas and peanut butter are fully processed and incorporated, making sure to scrape the sides as you go, and the mixture is creamy. 4. 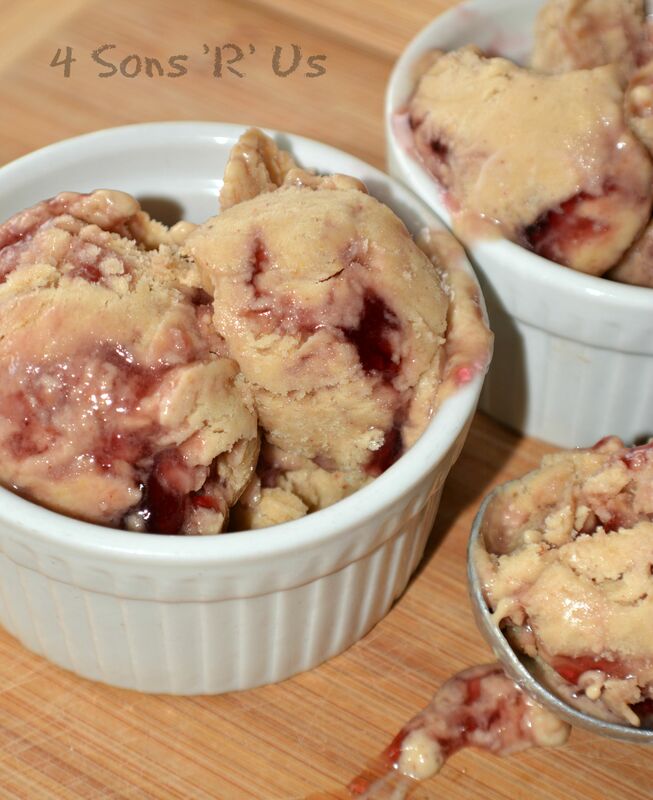 Transfer to a freezer safe dish and use a spatula to gently fold in the jelly, but not fully stirring them together. You want ribbons of jelly throughout. 5. Enjoy immediately for a soft serve ice cream or seal the dish & freeze overnight for firm ice cream. Anybody else remember going to the grocery store, and looking forward to getting an old school box of animal crackers to enjoy when it was over? I used to live for that. Which brings us to a post sure to bring out the kid in all of us. 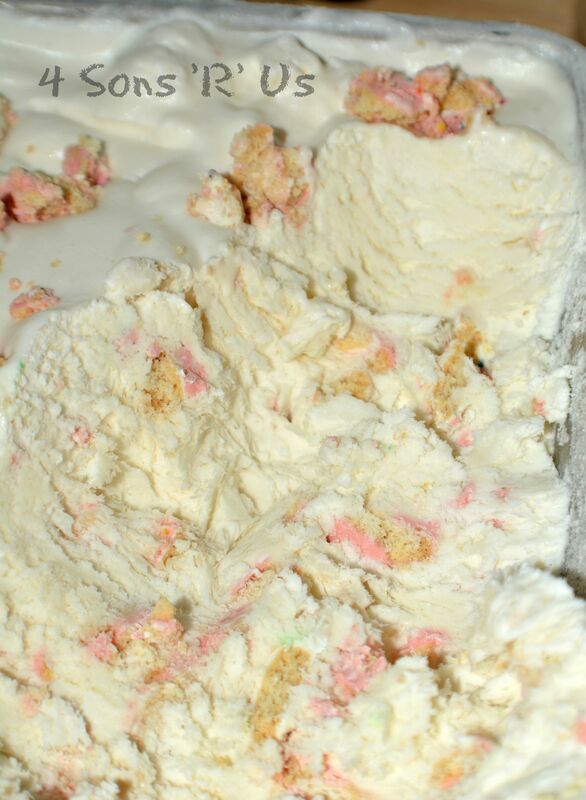 Circus Animal Cookie Ice Cream. When I found out they made those same cracker/cookies I’d always loved, but frosted?? I had to get those for the sons, as much as for myself. And we’ve all loved them ever since. 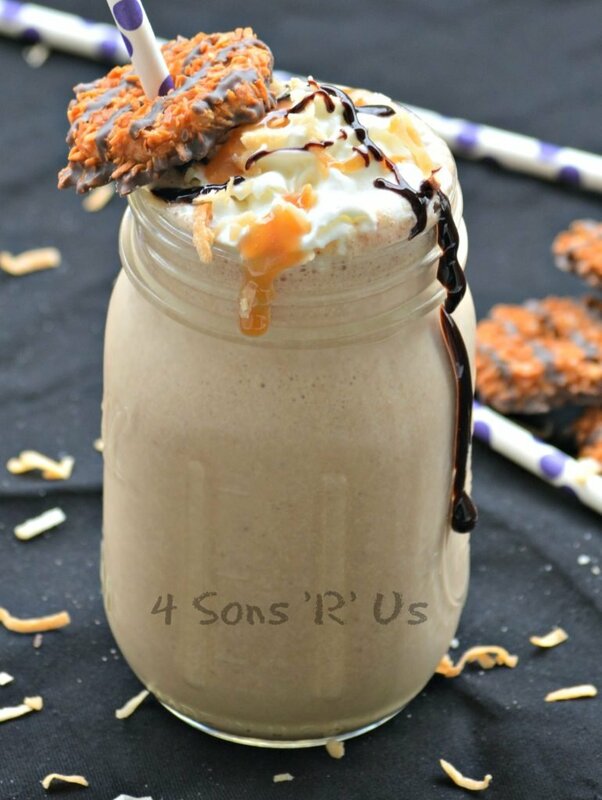 They’re so yummy, what with their signature creamy-coated cookie crunch and all. And something that snack-tastic could only be improved by one thing. 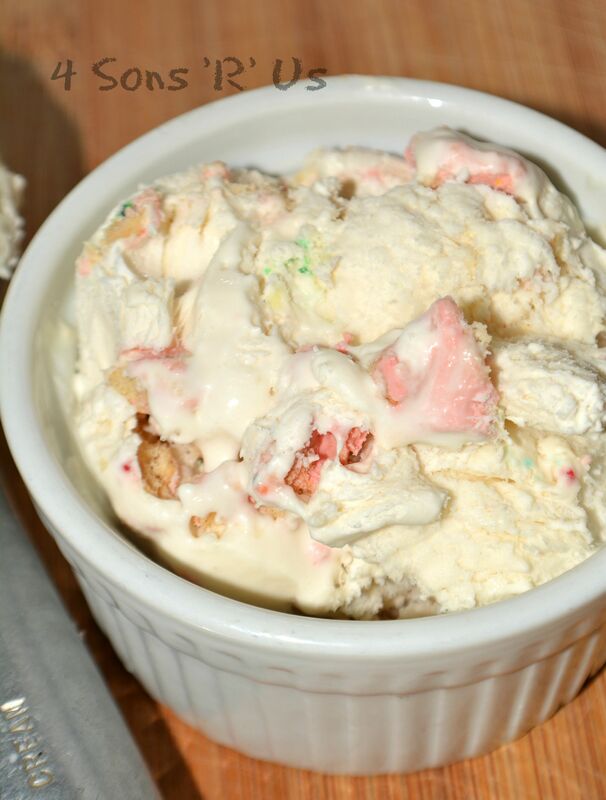 If you love the cookies, then you’re going to think this ice cream is nothing short of heavenly. Mix together all ingredients except for cookies and pour into a 2 qt. ice cream maker (halve the recipe for a quart-sized ice cream maker). 2. Follow the manufacturer’s directions for churning. 3. 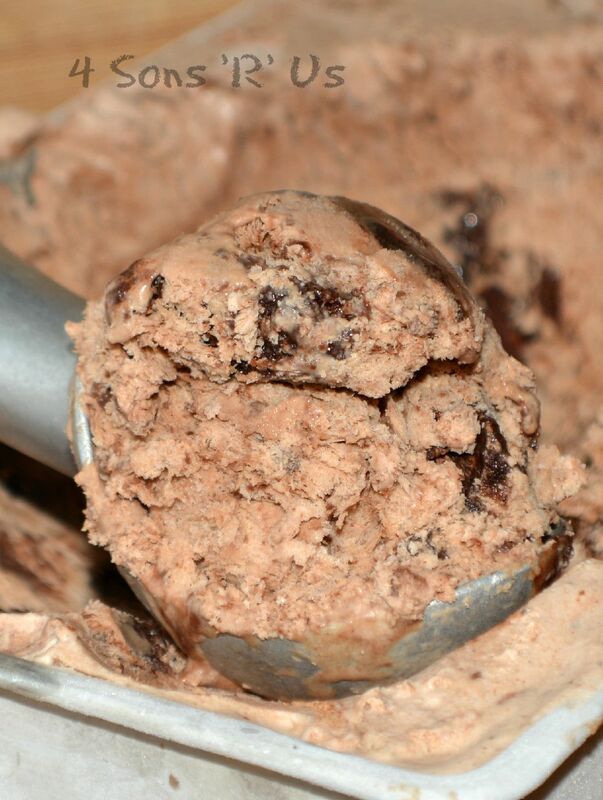 When ice cream is almost completely set up, stir in the cookies and and process, or continue stirring, enough to get them incorporated. 4. 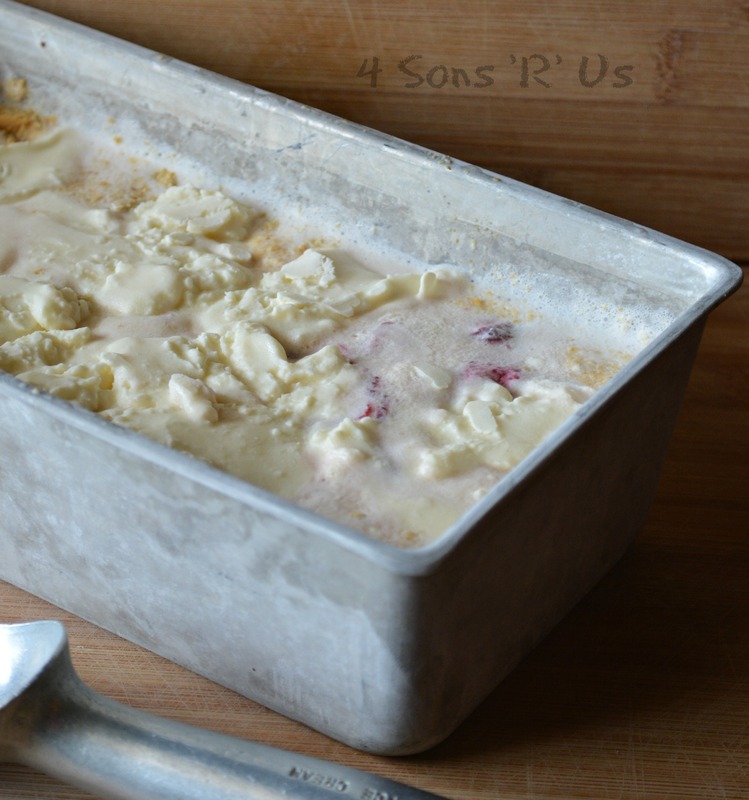 Transfer the ice cream to a freezer-friendly dish, cover, and freeze until completely firm. Guys! I finally figured it out. 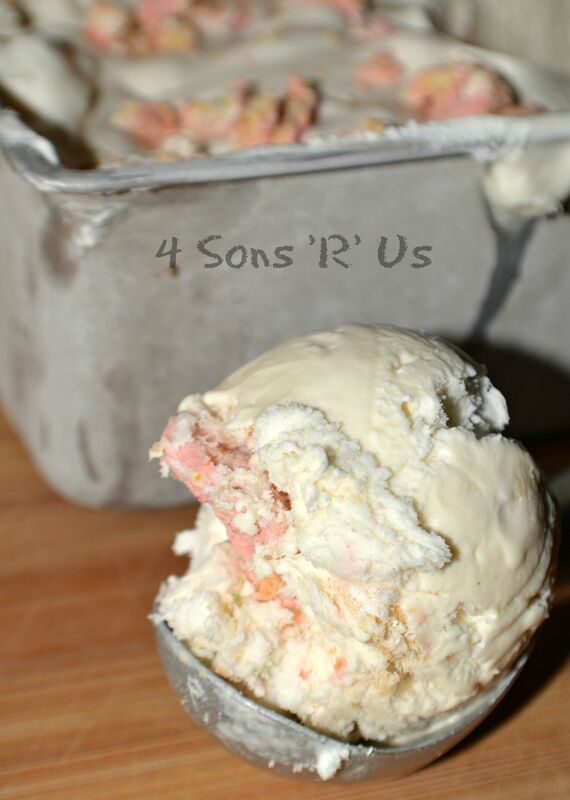 This summer the sons and I managed to crack the code with this whole easy to make, no churn, no fancy-schmancy ice cream maker required thing. You can go ahead and trash that ice cream maker that you got 3 Christmases ago that’s still in the box now without any guilt if you so choose. No need for it. 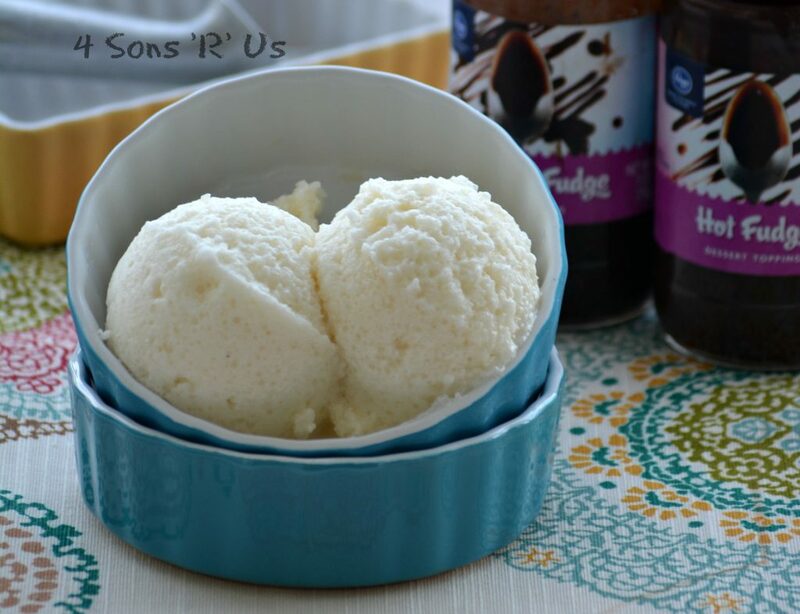 After you learn how simple it is to make homemade ice cream you may not even want to buy some from the grocery store again. And it does not require making and stirring custard on the stove or any crazy 100 step process. 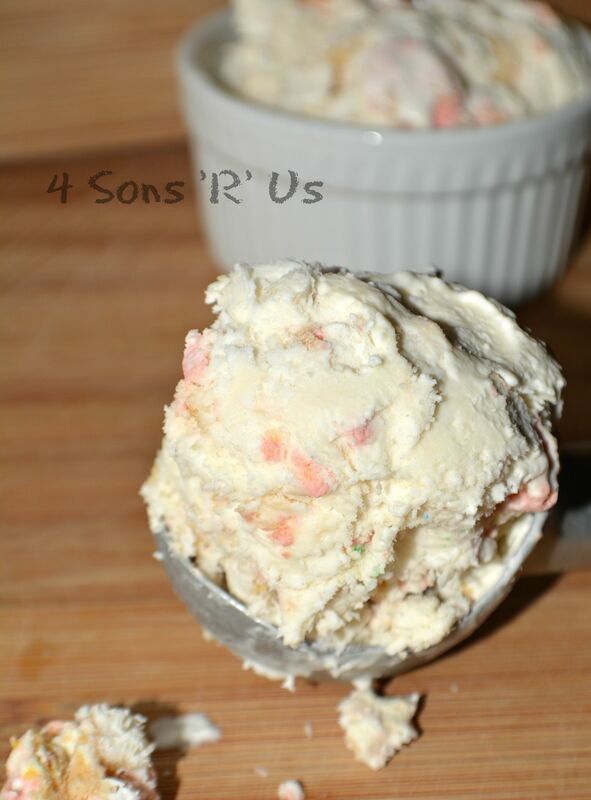 That said, we will still feature recipes ‘occasionally’ that ‘require’ an ice cream maker just because the sons love using their ice cream ball so much, BUT I’ve just handed you the keys to the ice cream kingdom. And any future recipes should be easily adaptable. 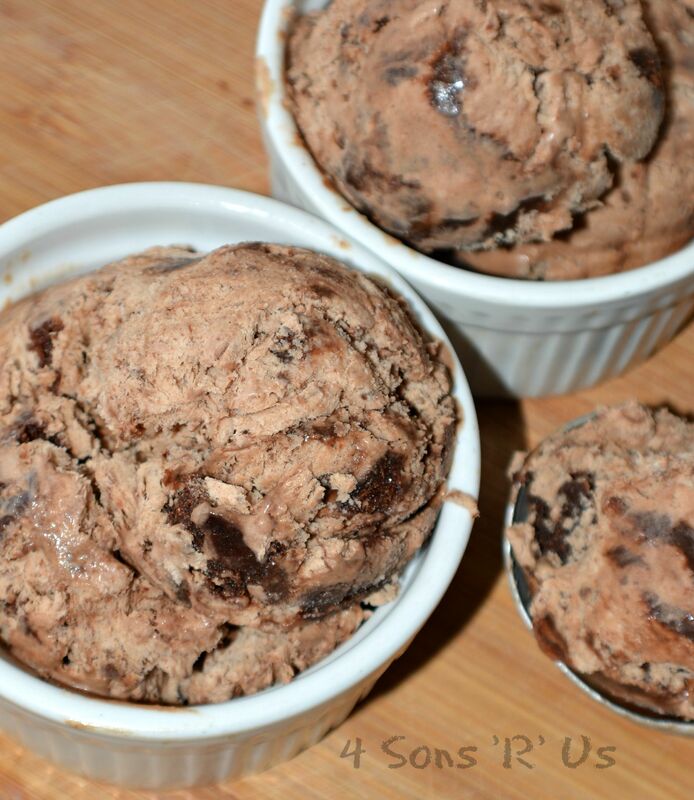 This creamy chocolate ice cream is none too rich, but it is ridiculously delicious. It’s studded with fudgey bits of brownie and laced with lines of hot fudge running throughout. It’s any choco-holics new bff. That’s what I’d call lick the spoon, like the bowl good. 1.In the bowl of a stand mixer, use the whisk attachment to beat the heavy cream on medium speed until it slightly thickens – about 3 minutes. 2. Add milk, brown sugar, cocoa powder, salt, and vanilla. Beat on medium speed for 5 additional minutes. 3. Pour mixture into a metal loaf pan. Freeze for 90 minutes. 4. Remove ice cream from the freezer after 90 minutes and add in the chopped brownies. Add dollops of hot fudge over the entire surface of the ice cream and use a knife to cut/swirl it into the ice cream. 5. Freeze for 8 hours or overnight before serving. 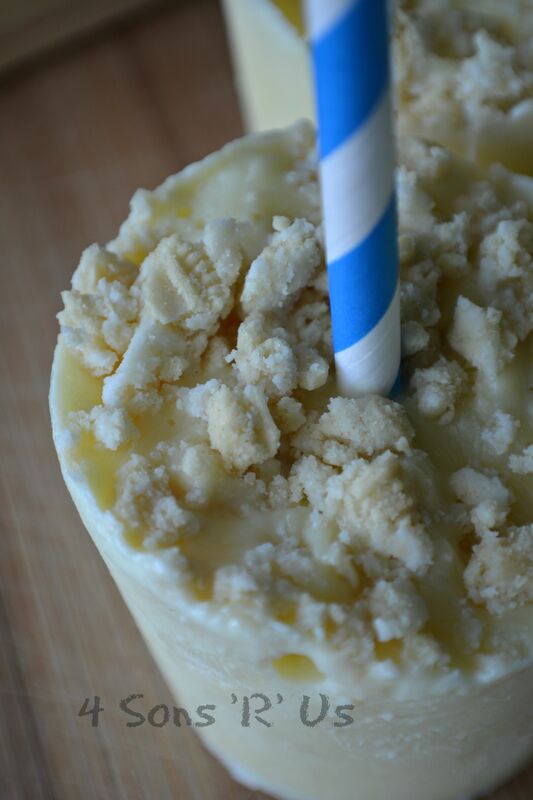 Do you love a cold glass of lemonade on a hot day? How about looking forward to a slice of cool lemon merengue pie, or even lemon ice box cake? I feel like lemon anything is the quintessential summer flavor. Like an unofficial mascot or something. And speaking of summer necessities… Heeelllooo, Popsicles. 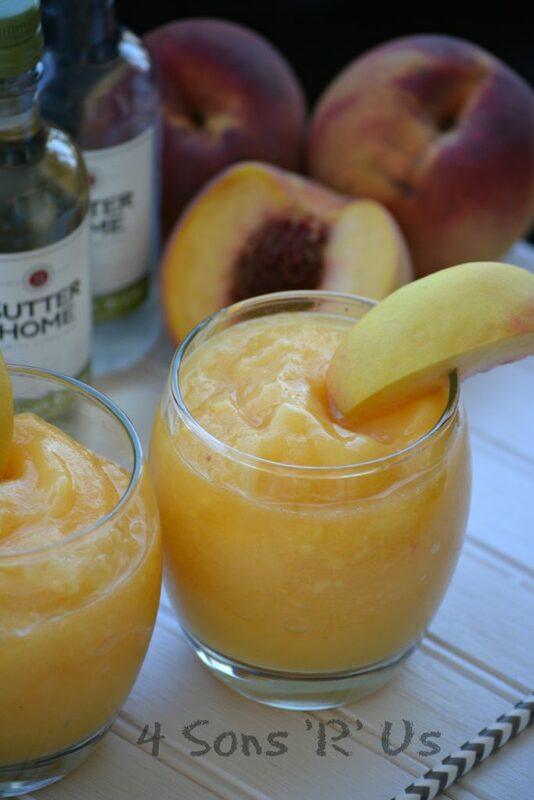 So it was just good common sense to combine these things into one epic, refreshing treat. Even better? They’re not Popsicles made from sugar water. They’re Popsicles made from Greek yogurt, so they’re relatively healthy AND a yummy way to cool off. And they’re a filling snack. 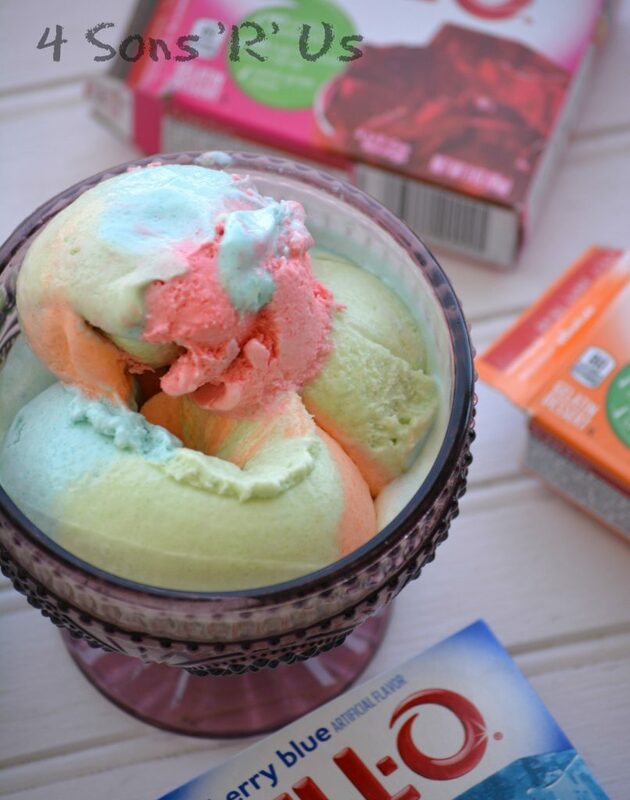 Stir together the yogurt, lemon juice, sugar, extract, and food coloring until evenly combined . 2. 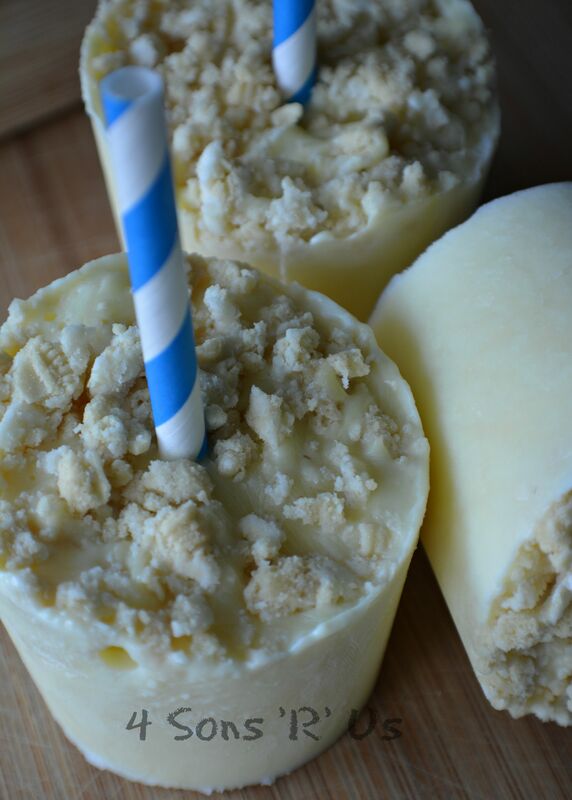 Scoop equal amounts of lemon mixture into paper dixie cups or into popsicle molds. 3. Sprinkle about 2 teaspoons of cookie crumbs on top of the yogurt mixture. Use a toothpick or popsicle stick to gently stir the crumbs into the mixture slightly. Pack down whatever crumbs are left on top. 4. Insert sticks or colorful straws into the center of the mixture, sticking straight up. Freeze for at least 4 hours or overnight. 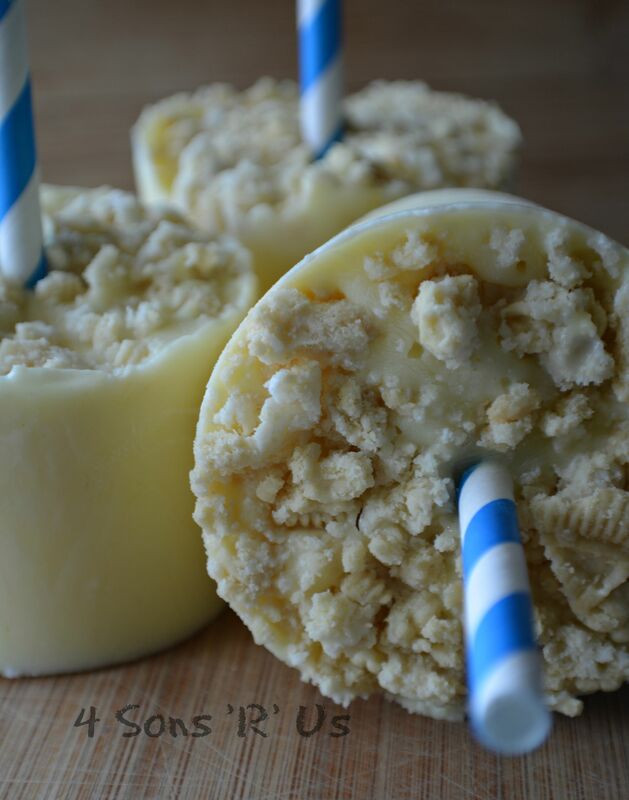 Remove paper or remove popsicles from molds and enjoy!